Indonesia and India are among the countries with the most people at risk. Three new maps reveal which parts of the globe are most at risk of earthquakes — and where most people are vulnerable to seismic disaster. The first map, of global seismic hazard, shows in unprecedented detail which parts of the globe are prone to earthquakes — such as the ‘Ring of Fire’ around the Pacific Ocean (see ‘Modelling earthquake hazard’). The second, of global seismic risk, highlights areas where buildings are likely to be damaged by the ground shaking, such as Guatemala. The third, of global exposure, looks at the number of buildings around the world — emphasizing the danger in highly populated regions such as Indonesia and India. 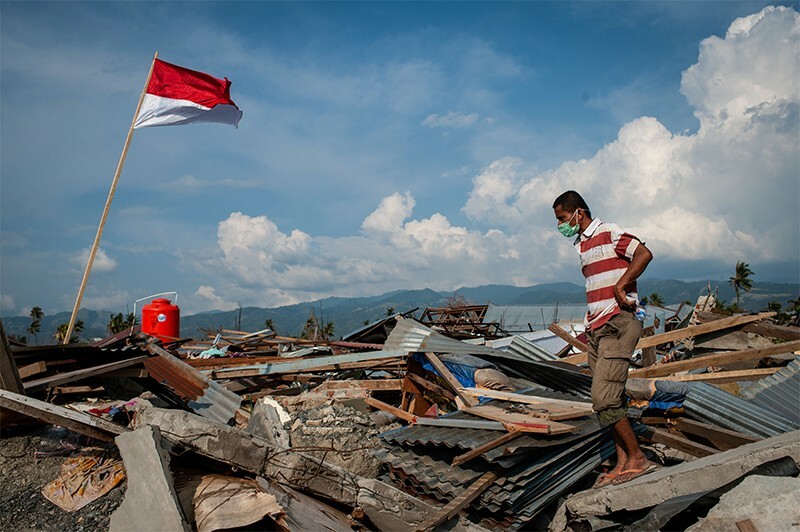 The charts, released on 5 December, are the culmination of a years-long international effort coordinated by the Global Earthquake Model (GEM), a non-profit organization in Pavia, Italy, that works with emergency management officials, geological surveys and disaster-preparedness groups worldwide. GEM expects to update the maps, which are built on an open-source platform, roughly once a year. The seismic-hazard map is the first major global effort of its kind since 1999, says Marco Pagani, a hazard coordinator at GEM who led the map’s development. It incorporates more than 30 national and regional models from groups such as the US Geological Survey and the China Earthquake Administration. For countries or regions without updated models, GEM worked with local experts to produce them. The map reflects recent scientific insights into earthquake risk around subduction zones, where one plate of Earth’s crust slides beneath another, in places such as Japan and Chile. The analysis identifies more hazards around the Ring of Fire than in the Himalayas, which the 1999 map emphasized, Pagani says. GEM’s﻿ risk and exposure maps explore what the chances of earthquakes mean for human lives. “We’re not just talking about shaking — we’re talking about human losses and the collapse of buildings,” says Vitor Silva, the risk coordinator at GEM who led the team that produced the risk and exposure maps. Working with local contacts, Silva’s group compiled information such as what material buildings are made of, how many storeys high they are, and the chances that they conform to local earthquake-resistance building regulations. For places where data were limited or non-existent, such as South Sudan, the team used satellite images to analyse building types. ﻿Two-thirds of the world’s buildings turn out to be located in just 15 countries, says Silva. Knowing where the vulnerable buildings are could help local officials decide where to allocate resources for beefing up construction, he says. Future versions of the maps could include factors such as the risk of tsunamis — or use machine learning to analyse how exposure changes throughout the day, as people flow into and out of cities for work. 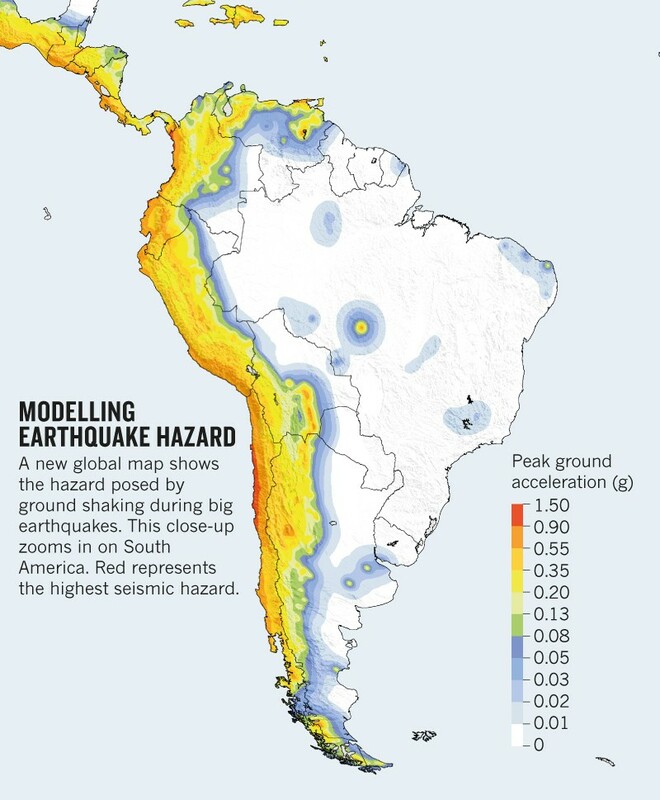 Correction 10 December 2018: The story originally cited Colombia as a country without updated seismic models, but Colombia's national seismic-hazard model was updated in 2014. The graphic originally referred to earthquake risk instead of earthquake hazard. These errors have been corrected.